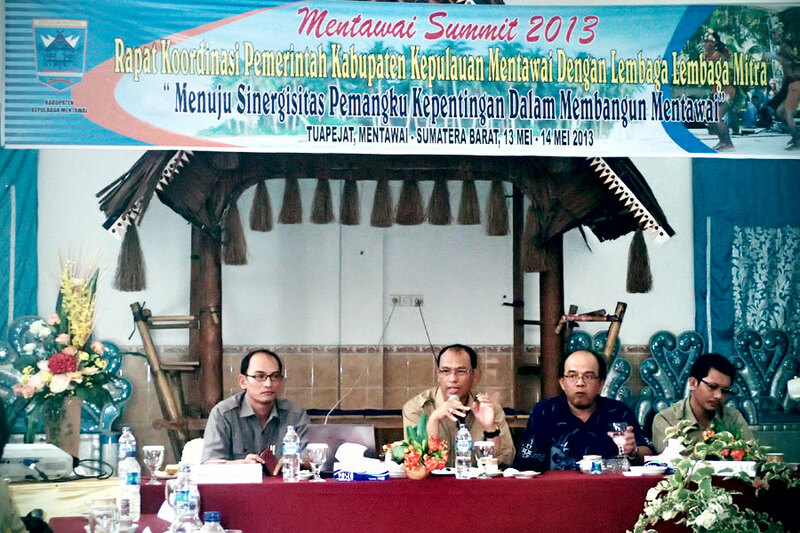 The Mentawai government recently held the “Mentawai Summit 2013”. It invited interested parties to share ideas and information to assist and advise the young government with its aims and how best to implement them. Land-based tourism is viewed by the government as the main source of economic wealth to drive the Mentawai’s economy and build prosperity. Most local coastal communities are very keen on tourism. They see it as a way out of poverty, enabling an increased standard of living. The Mentawai Ministry of Tourism want to develop “exclusive tourism” preserving the pristine environment this island regency enjoys and the reason why it is so popular amongst tourists. Many steps need to be taken to achieve this ultimate goal. Most pressingly is the need for infrastructure facilitating rubbish disposal and removal along with education programs explaining to local communities the health and environmental risks of littering. The village has been selected as the first location to run pilot programs by the Ministry of Tourism. We will collaborate with the Tourism Department providing English classes for children, young adults, resort staff and rubbish disposal education and practices programs. The recent Mentawai Pro 2013 Surfing Competition held in Katiet at the end of April has acted as a catalyst amongst the local community, increasing their awareness of the roles they could play within the surf tourism industry, the skills they need to be able to do so and the necessary infrastructure.